Like most PhD students determined to make a significant contribution to science and policy through their research, my PhD journey is not an exception. My research had reached a point where I had to work on that thesis chapter I had always procrastinated to work on. Neither had I the time nor the luxury to further postpone working on it; but had to link its insights to other chapters of my thesis. This realization coupled with the privilege I knew my research project ‘Resilience in East African Landscapes (REAL)’ accorded to PhD students to visit sister institutions for 2-3 months secondment provided the impetus to dedicatedly work on the constantly postponed ‘chapter 3’ of my thesis. 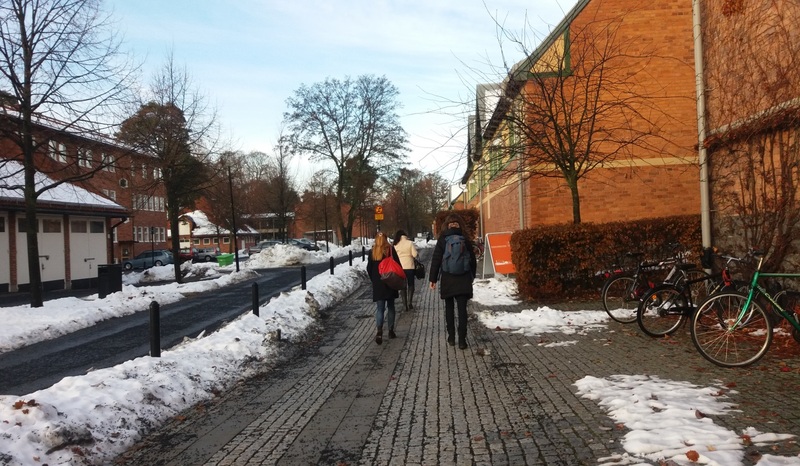 Having known that my secondment was arranged for Stockholm University, we had a conversation with my supervisor (Robert Marchant) and the REAL principal investigator based at Stockholm University (Lowe Borjeson) on my secondment plans and objectives. We agreed that Stockholm Resilience Centre (SRC) would be an ideal place for my secondment as my research perspective matched some of those used at the centre. Figure 1: SRC’s entrance at the building marker in the iconic ‘SRC orange colour’ . SRC is also feted for its high impact research, conferences and talks. My time there proved this to be the case. By attending the weekly one hour speed talks, I learned loads from numerous visiting and resident high level researchers within a short time. Who knew one could learn more than ten research projects in just one hour? Besides the speed talks, the brown bag lunches and other theme and stream meetings were enlightening and insightful. One particularly interesting brown bag lunch was offered by Piotr Magnuszewski and he spoke on using games for sustainability with a focus on politics (Fig 2). What was fascinating about this talk was how different yet clear games can provide a means of understanding and communicating complex adaptive systems. 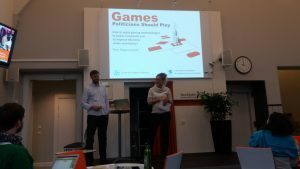 Moreover, his talk was followed by him leading a group of enthused SRC researchers to play a game on watershed management using contrasting and varying priorities, views and interests from various stakeholders on the watershed. A game which was educative, exciting and importantly, took into account the complexity of human-nature systems. Figure 2: Jamila Haider introducing Piotr Magnuszewski before his talk. Despite having a busy schedule at SRC, it was impossible not to make time to visit places and appreciate the alluring Stockholm. 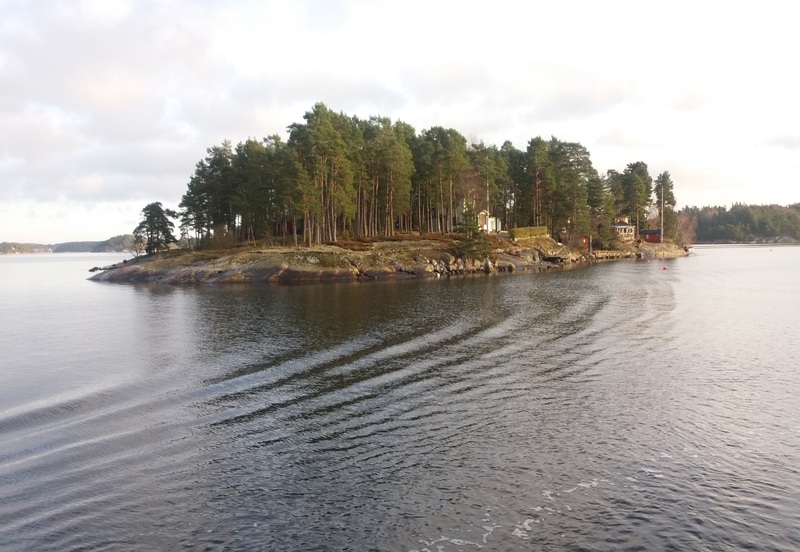 How could I go leave Stockholm without visiting the Stockholm archipelago, Gamla Stan, Skansen (Fig 3) and the Nobel Museum? I’m glad I make time to visit and enjoy Stockholm. 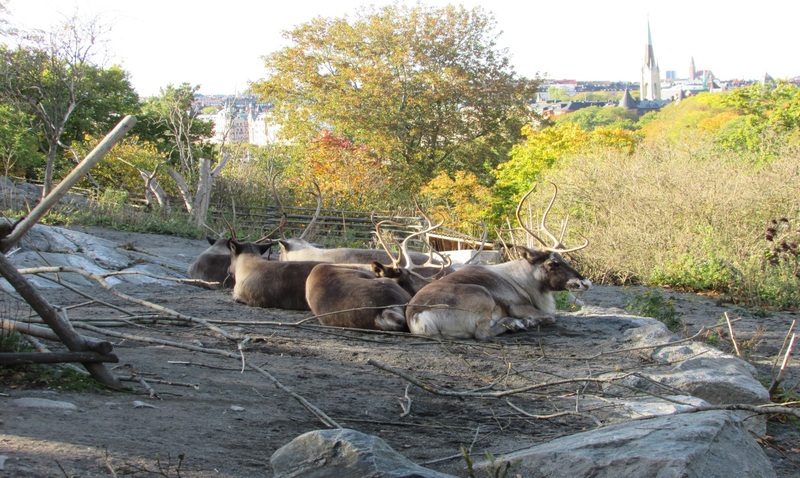 Figure 3: Reindeers, herded by the Sami Community, in Skansen, Stockholm.